I have used and reviewed quite a few beard shampoos, soaps and washes and only one or two come close in comparison to The Beardy Beard Co Conditioning Beard Wash plus of course it is also a conditioner! I had previously used and reviewed the Conditioning Beard Wash in the Lemon Patch scent and so I knew what to expect. I live in a hard water area (as I have mentioned once or a thousand times) and that hinders the lathering of these products, but not with this one. A small amount scooped out produces a lovely creamy lather that is just, well just amazing. Once rinsed out, my beard was clean, felt soft and I could not have been happier with the result! 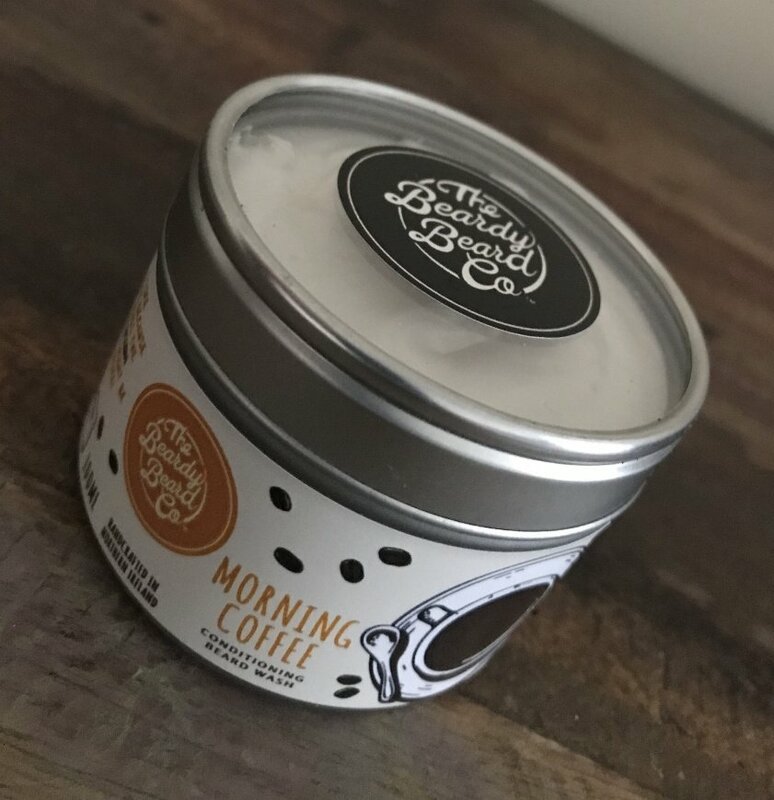 The Morning Coffee scent is a blend of Vanilla, Coffee & Sweet Orange and it is subtle, the coffee first then you get a slightly sweet and citrusness. At the end of the day, I cannot do this product justice with mere words. Out of the two I would personally choose the Lemon Patch scent but I do love a sweet scent. The Beardy Beard Co Morning Coffee Conditioning Beard Wash comes in a 100ml tin and costs £10.95 from the website.